Patrick Robinson. Rest in peace. It is with deep sadness we have learned of the passing of Patrick Robinson, our director’s Hilary’s father. Patrick was a true gentleman, an excellent horseman and our oldest volunteer. He was a great friend and teacher to the staff and volunteers at Hungry Horse. Always willing to support and impart his knowledge and wisdom. His door always open to an animal in need and he continued to rehabilitate ponies and horses for us, even at the age of 95. The compassion shown by him will never be forgotten. Had he not shared his compassion and knowledge, perhaps Hungry Horse would never even been established. There are no words that can describe, our thoughts and feelings at this sad time we can only thank Paddy for all he has done. Hungry Horse Outside will remain closed until Wednesday 31/10. 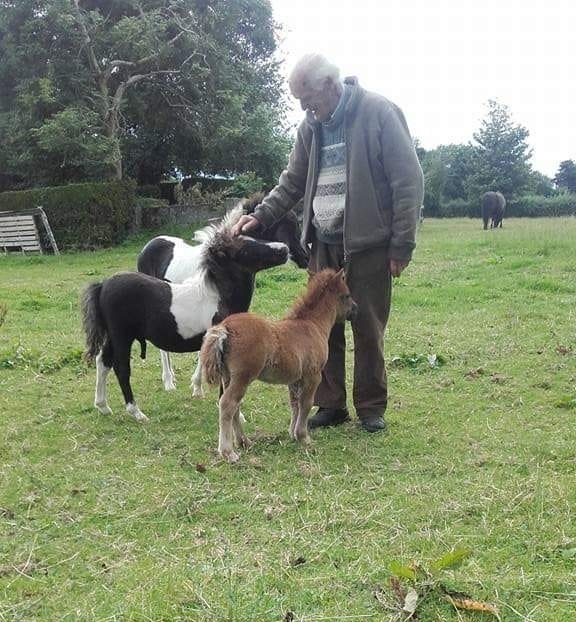 Paddy pictured below with a few of his very many foster ponies.